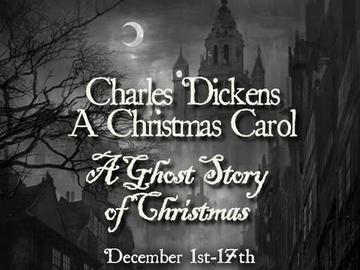 With this brief preface, Charles Dickens sets the stage for his classic tale where miser Ebenezer Scrooge is visited on Christmas Eve by three spirits who take him on a journey through his painful past, gloomy present, and possibly fatal future as he learns how his actions have affected those around him. A Christmas Carol instills a powerful message about redemption and the spirit of the holiday season. Adapted from the original story by A. Adams. Performances each weekend from December 1st - 17th. Fridays and Saturdays at 8:00pm with matinees Saturday and Sunday afternoons at 2:30 on December 9th and 16th.